This headstall offers a high-end look with a touch of sparkle. 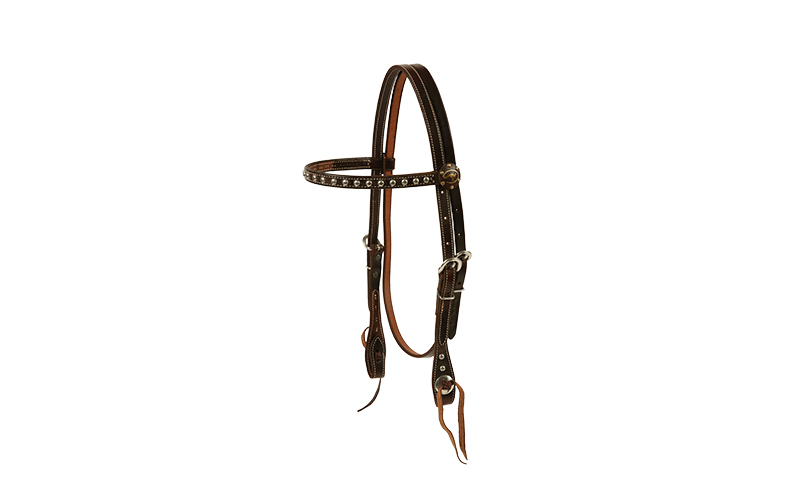 Browband and cheekpieces are adorned with etched silver scallops. A roo-logoed concho that is surrounded by silver scallops highlights either side of the browband.